Tesla Motors and SpaceX CEO Elon Musk is a 44-year-old, South-African-born Silicon Valley star who also co-founded Zip2 and PayPal, and is known for envisioning a super high-tech future full of spacecrafts and submarine cars. Musk's entrepreneurial career has made him very, very rich. Forbes ranked him the 15th wealthiest person in tech, and the 100th wealthiest in the world. Musk started his first web software company, Zip2, at the age of 23, and sold it to Compaq Computer in 1999 for $22 million. He sold his next big venture, PayPal, to eBay Inc. in 2002, which made him $150 million. Now he's in the space, motor, and solar power industries (yes, all three). 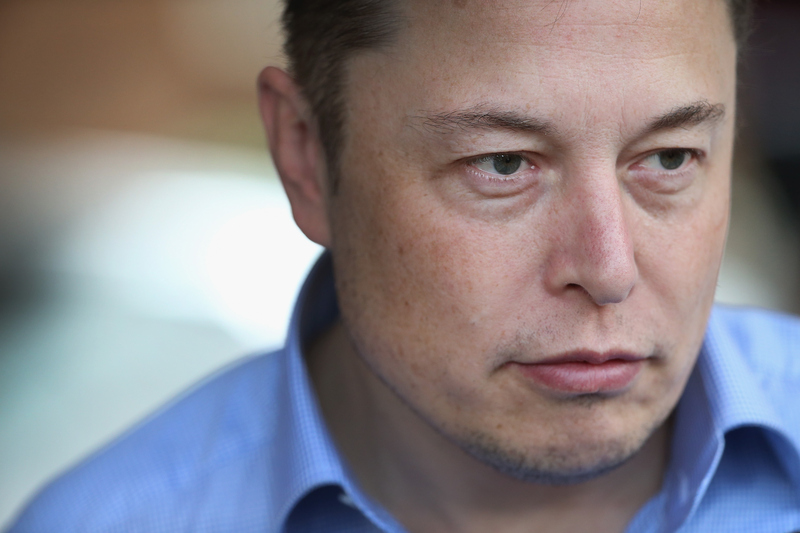 He's the CEO and CTO of aerospace manufacturer SpaceX, CEO and product architect of Tesla Motors, and the chairman of the U.S.'s second largest solar power provider, SolarCity. SpaceX has had contracts with NASA and the U.S. Air Force, and became the first privately-funded company to launch, orbit, and recover a spacecraft in 2010. According to Forbes, most of Musk's wealth comes from Tesla. The entrepreneur's net worth of $13.3 billion is so high that it surpasses more than a quarter of the world's countries' GDPs. In case you're wondering exactly what a GDP (gross domestic product) includes, it represents the total value of the nation's goods and services produced that year. For reference, America's total GDP in 2014 was $17.4 trillion, but America is a fairly big and quite wealthy country. Musk is worth more than the economies of 55 whole countries, many of which are in Africa or are small island nations, according to World Bank data. His $13.3 billion fortune barely beats out South Sudan's 2014 GDP of $13 billion. On the other end of the spectrum, the smallest national GDP in the world belongs to Kiribati, a tiny Asian Pacific island near Hawaii, at $166.8 million. Other notable countries that have lower GDPs than Musk's net worth include Nicaragua, West Bank and Gaza, Mongolia, Armenia, and Niger. Albania's GDP is barely more than Musk's net worth, at $13.37 billion. Needless to say, Musk's $13.3 billion is a lot of money, even in comparison to national economies, which explains how he's made it onto all the lists of the world's richest people.